This once the first slaughterhouse in the Far East, where countless lives were got killed, it is fascinating but attracts a lot of tourists. 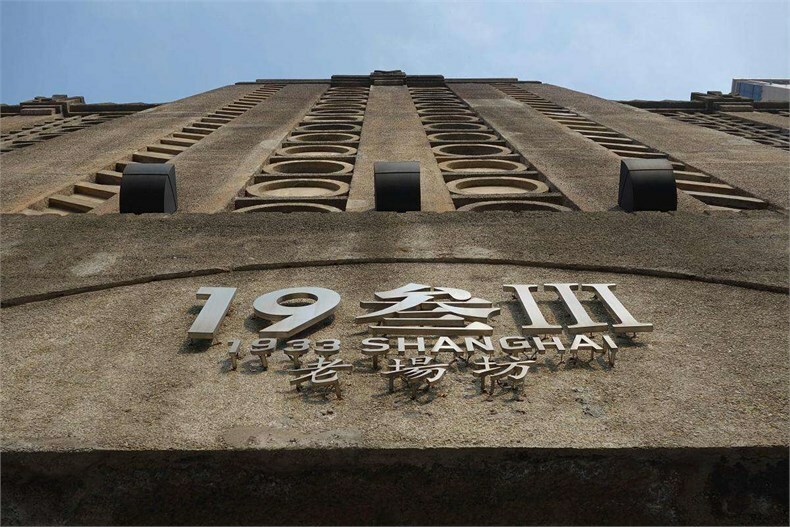 It’s founded in 1933, created by Balfours and completed by the the Yuhongji Construction Plant famous in Shanghai. 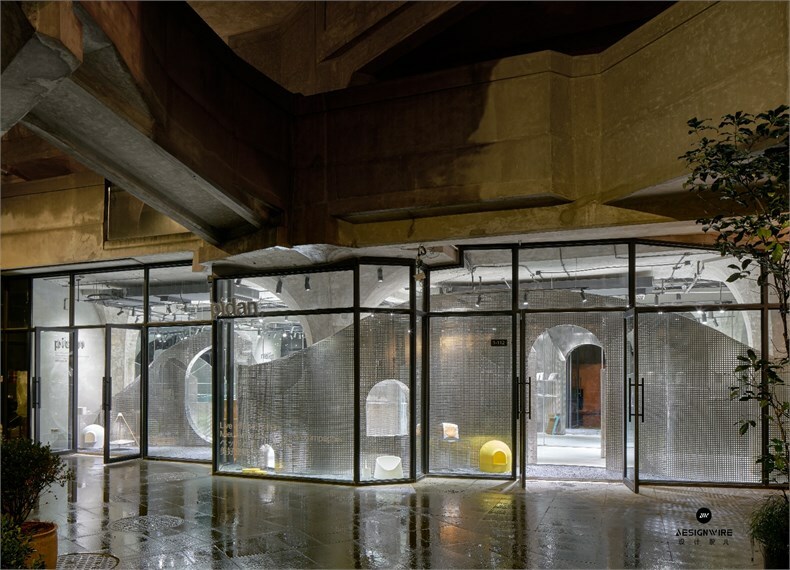 The whole building is with square outside and round inside, it’s high and low scattered ,with flat slab floor and loop gallery. 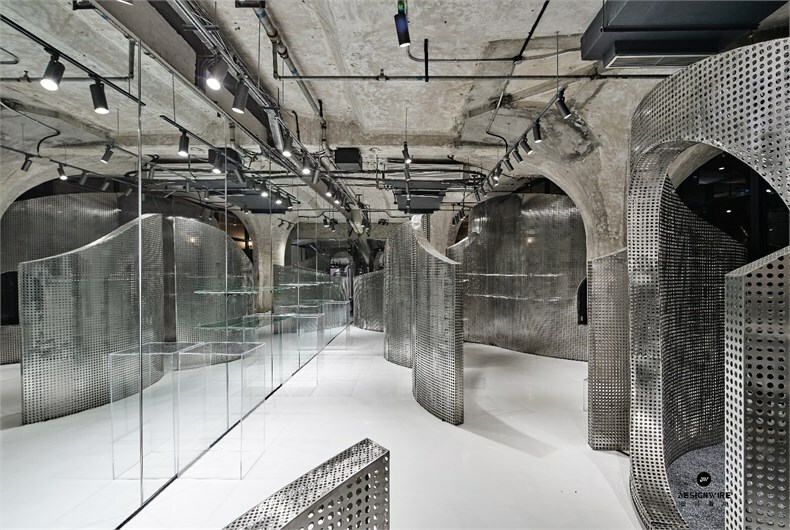 The layout is like a labyrinth but the space is in order. 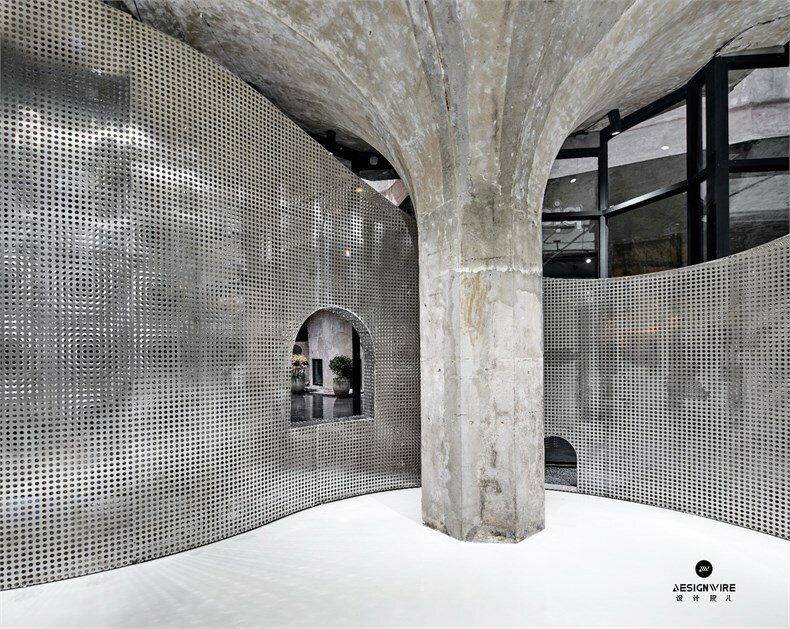 “It is a model of the perfect combination of architectural art and production technology”. 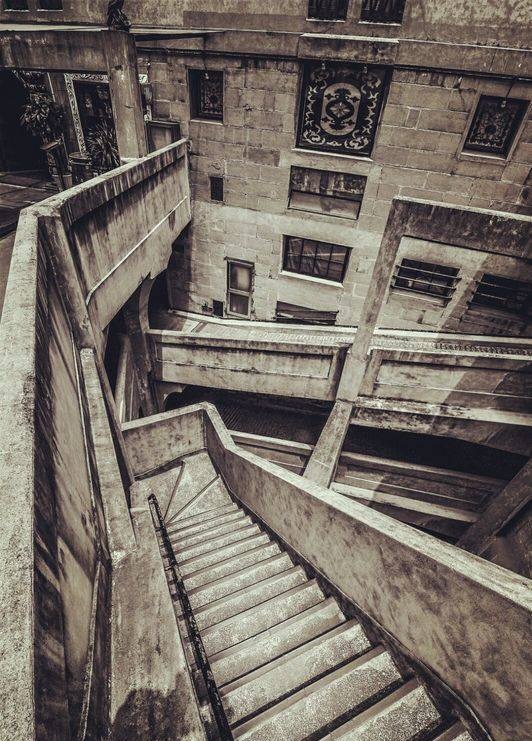 Today, this building has become a famous cultural and creative industry center in Shanghai. Respecting the tens of thousands of animal souls, we are always looking for a way to have a commemorative architecture, trying to make an icy building to echo the concrete, and to arouse the painful memories and facts of killing animals because of lust. 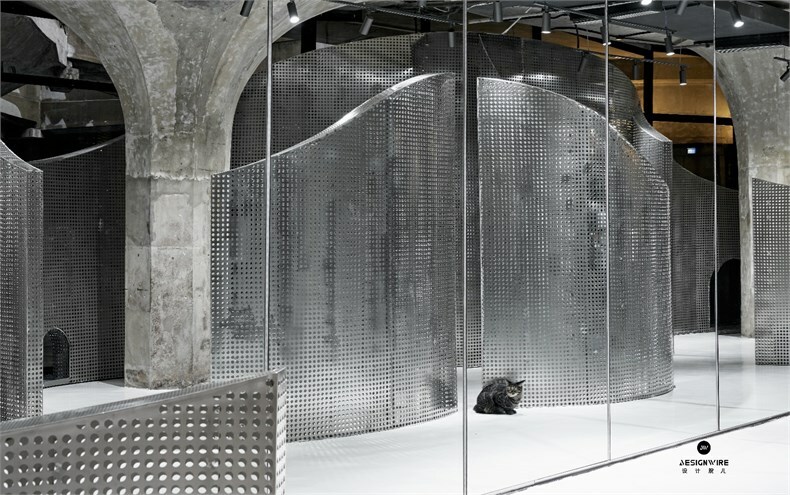 The space is named "Animal Backbone", as its name implies, like a huge animal rises slowly from the ground, the backbone is exposed above the horizontal of the building.The stainless steel "animal backbone" is filled with 480,000 holes, using huge numbers to express the damage to the animal and the soul which is slaughtered and no place for sorrow, and it’s symbolizing that bearing the burden of history with the animal. 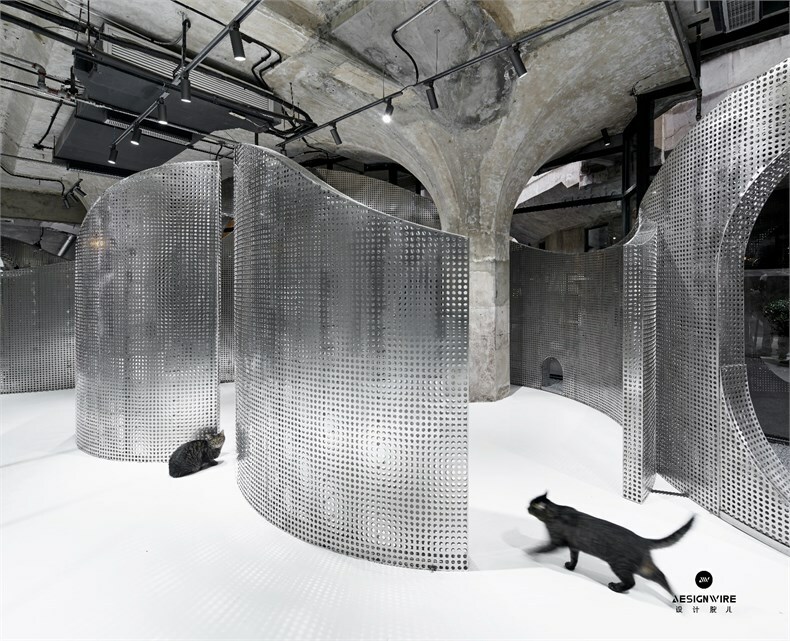 On the other side of the commemorative space, it wants to bring more thinking about the harmonious symbiosis between humans and animals. 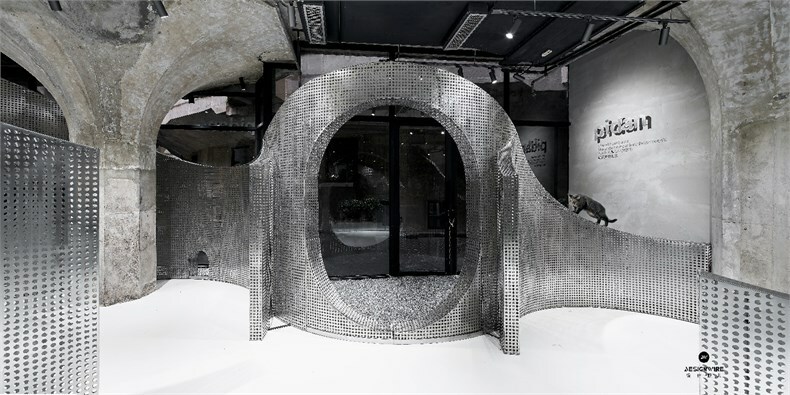 The meaning of the symbiotic space "animal backbone" is to bear the burden of history with the animal, Pursuing humans and animals how to better live in harmony in the historical environment and share the wonderful experience brought by this city. Pidan proposed the concept of stray animal adoption, providing long-term supply of food for the stray cats and dogs in the 1933 old field. Regarding the design process, a narrative story was implanted when space was not yet characterized. 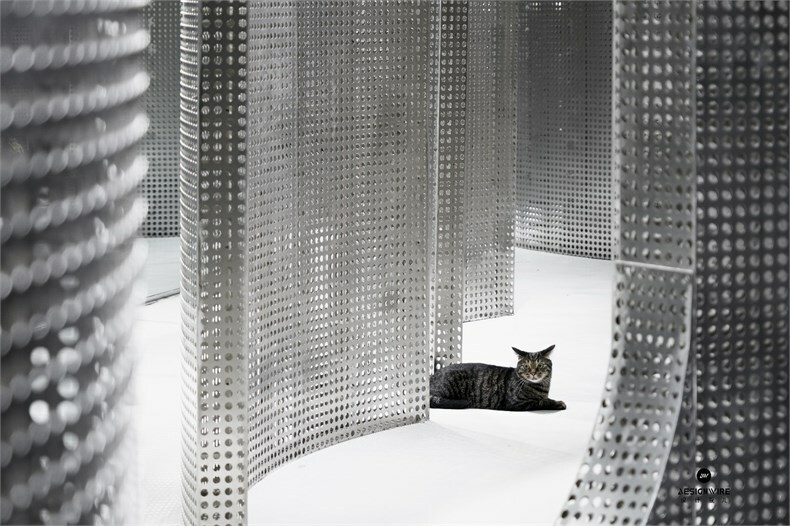 Starting from the walking track of a cat, the inner space and the outer space in the space are divided, and the basic functions in the living state are divided by a circle. In such a space, there are doors, windows can ability to peep and observe the inside and outside. And in inside, there are living rooms, restaurants, kitchens, bathrooms, etc., which form the scene elements of life and form a bubble map. Humans and animals have different scales, trajectories, and behaviors. The two scales are redefined within the space, and the action trajectory is changed from invisible to tangible. 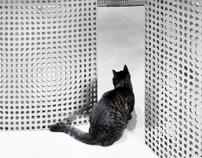 The behavior of them is studied and ordered, and specified the fuzzy boundaries and flexible spatial structure. When the animal backbone floats from surface ,we found that it has commemorative, story, functional, unknown, and possibility with all the problems solved in a seemingly simple way. 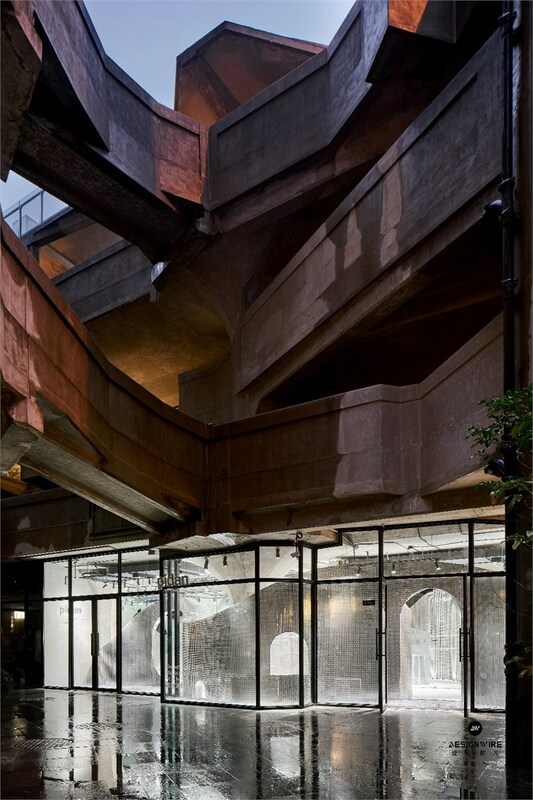 “Windowless”—the external space constitutes a whole large window,which makes people feel the atmosphere between it and the temperament of the 1933, directly and full of imagination. 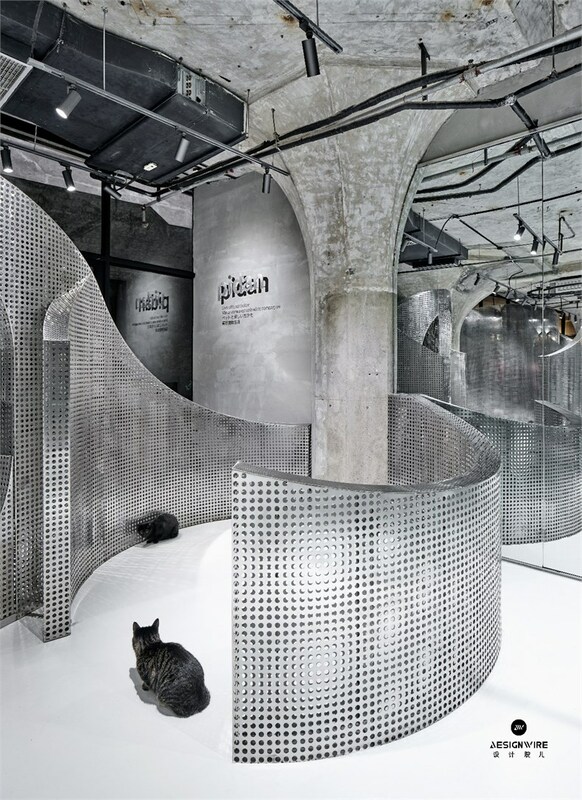 Strengthen the architectural language, weaken the window display, space is the building, space is the window, the relationship between space and animals is more harmonious and humorous. 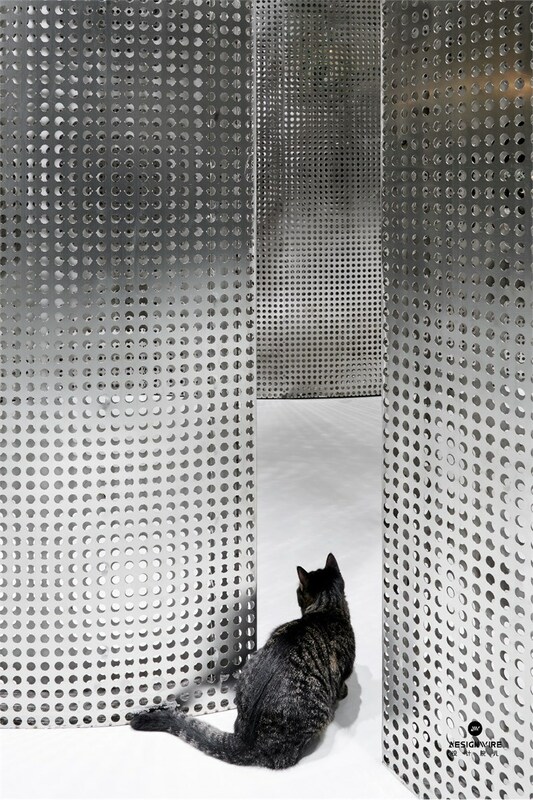 “"Scenarized space ”—When entering the interior space, the space is mirrored out of another negative space by the large-area glass, which magnified the illusion of the narrow space illusory. As the other side of the space, it causes the confusion and reflection about the internal and external relations again. 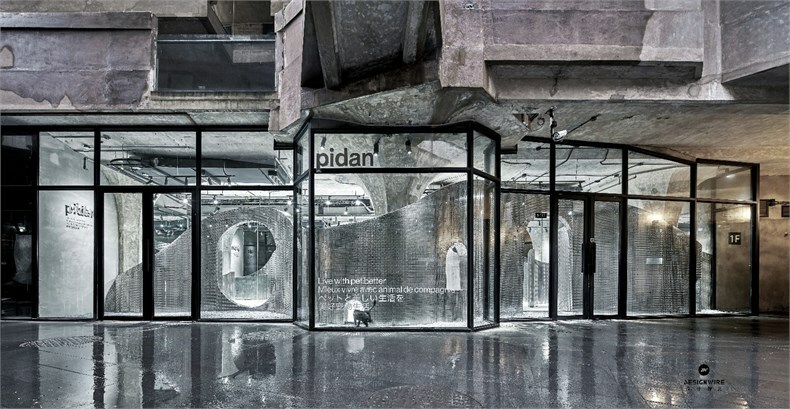 Pidan's "special staff" will also occasionally be a guest service staff, allowing shoppers to enjoy the fun of living with animals directly. "Narrative strategy" - through the development and reasoning of narrative stories, we get the relationship between bumps and undulations. What we do is to make the trend of the whole line is more smooth and beautiful. 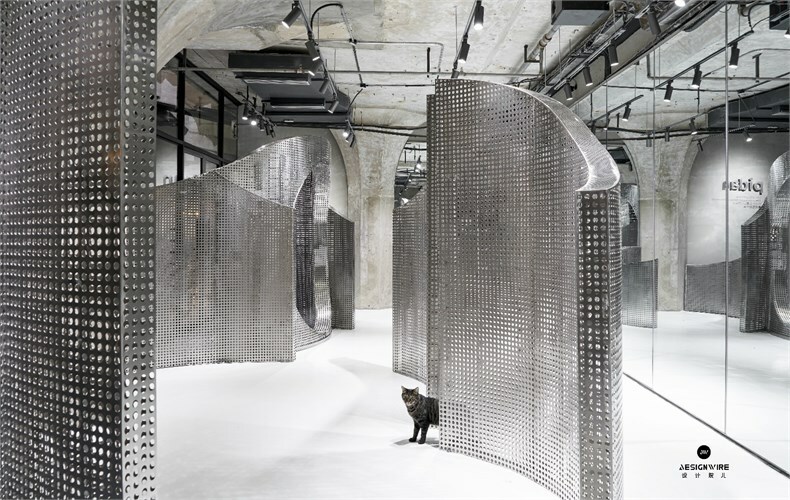 The combination of metal and concrete stainless steel creates a new retail space with interlaced lines and surfaces, integrated virtual and real integration, and interacted between human and animals to make a monumental building of symbiosis between human and animal. The heaviness endowed of history is no longer restricts the existence of imagination.
" 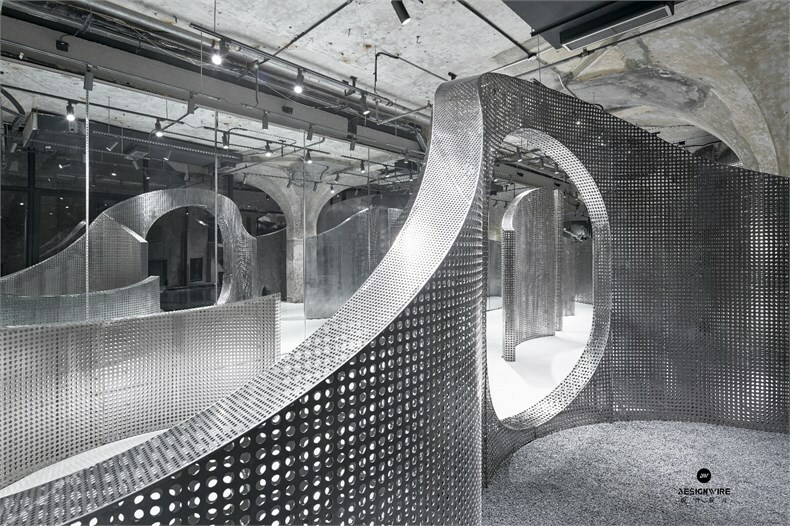 Magic Space" - When space is in the process of growth, people will ask questions about space display. Actually , small holes in the entire metal plate, internal hidden the card slot, through the acrylic plate placed behind the card, used to displaying a variety of animal life products, and people can give pets a better spiritual comfort according to demand to create a better pet life. 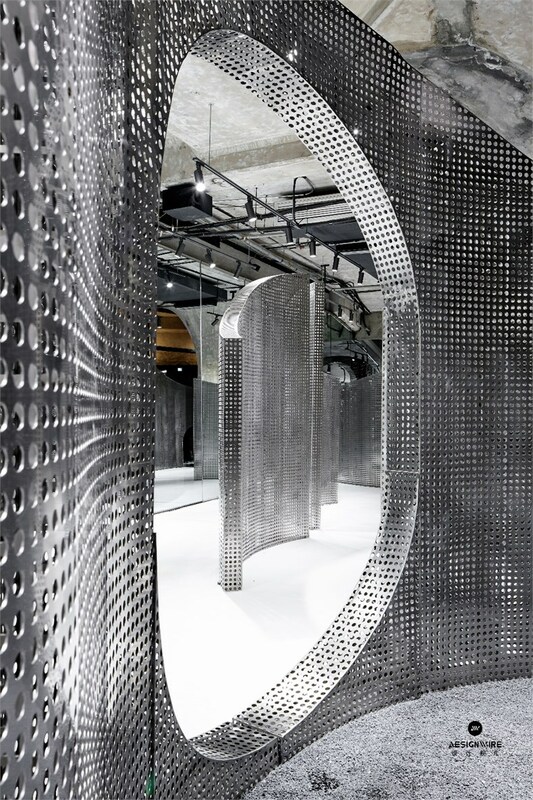 Space can be changed according to function. It can be a monumental space, an animal living space, an event launching site, etc. 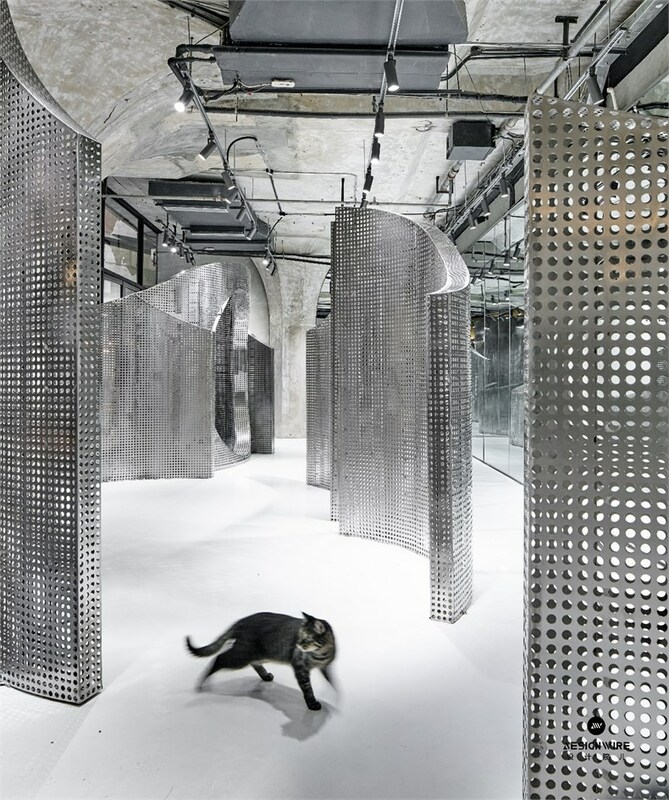 The whole project was initially thought to be shared by people and animals. 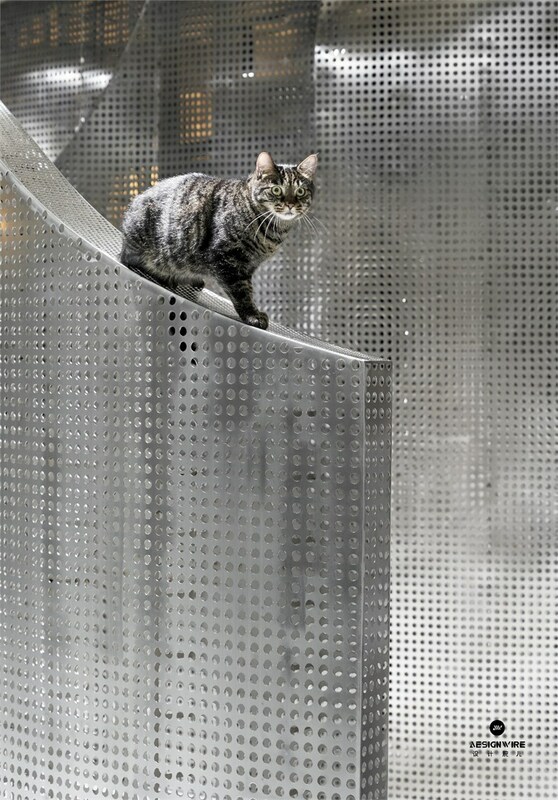 Both of them live in the urban space, and they have their own interactive space and interactive space. 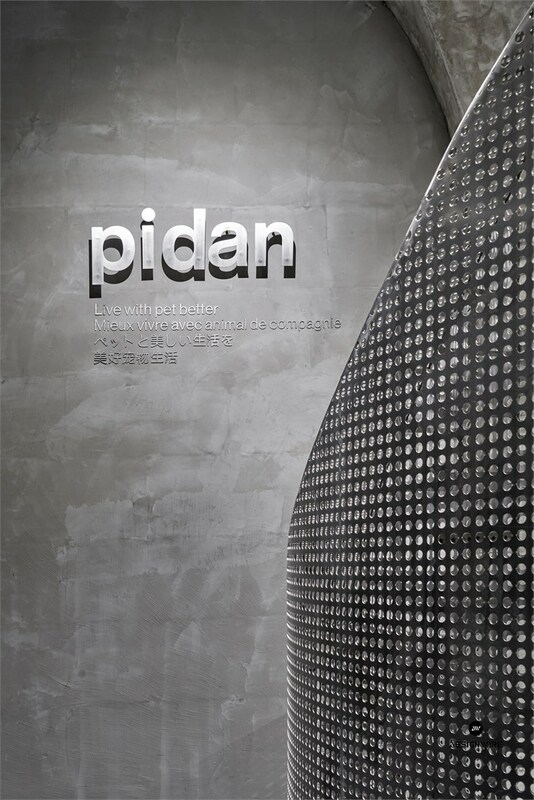 The animal behavior is implanted into the space design, and in the premise, satisfy the function , through the simplest processing method to provide a platform to assist the Pidan's brand and ideas. Thanks to the history and Pidan for making a better life between human and animals. 施工单位 l CONSTRUCTION：杭州艾丽蒙特工程有限公司 Hangzhou Element Engineering Co. Ltd.